Consider all my boxes ticked. 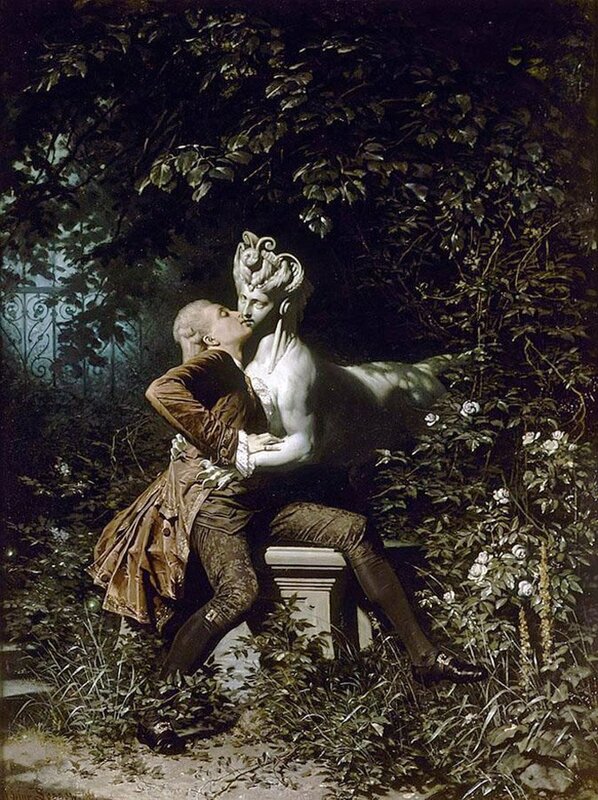 The Sphinx and the Poet by Heinrich Lossow, 1868. The term ‘eccentric dance’ on a music hall programme hid a wide range of styles. One emphasised the dancers’ legs, high kicking or out of control, often referred to as ‘legmania’. In the 20th century Max Wall was known for his out of control lanky legs. Wilson, Keppel and Betty, also qualified as eccentric dancers. They were two decrepit, extremely thin men who performed a spoof sand dance, in vaguely Egyptian or Oriental style, wearing what appeared to be short nightshirts with tea towel headdresses or a fez. When they performed in Berlin in the 1930s, wearing shorter skirts, Goebbels complained that their bare legs were undermining the morals of Nazi youth. There were several Bettys (the original, her daughter and her daughter) who always had to appear glamorous, but Wilson and Keppel became more and more decrepit. I have a bit of a thing for words for elements of architecture, decoration and whatnot. Today I happened across garniture, “a number or collection of any matching, but usually not identical, decorative objects intended to be displayed together”, most commonly three matching pieces for a mantelpiece, e.g. a clock and two vases. And if you ever wondered about the word for towering ornamental crap on a table that you have to peer around (or blow to pieces with your trusty shotgun) to talk to the person on the other side, it’s a surtout de table.